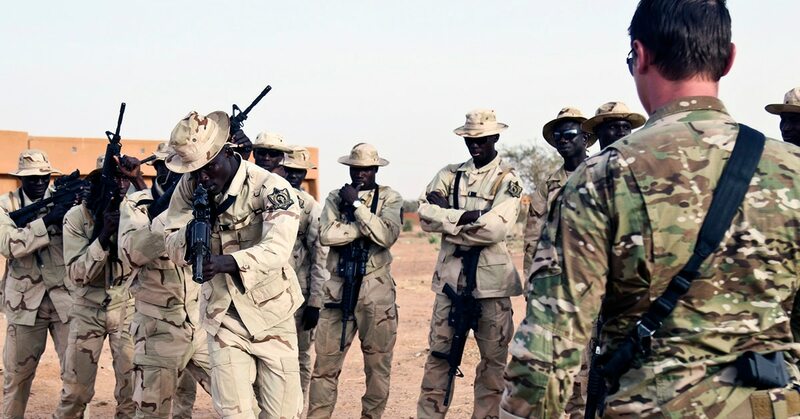 DAKAR, Senegal — The U.S. military in Africa has taken steps to increase the security of troops on the ground, adding armed drones and armored vehicles and taking a harder look at when American forces go out with local troops, the head of the U.S. Africa Command said Monday. Gen. Thomas D. Waldhauser told reporters the U.S. also has cut the response time needed for medical evacuations — the result of a broad review in the wake of last year's ambush in Niger that killed four U.S. soldiers and four of their Niger counterparts. "Since that happened, there were significant things to change and learn," Waldhauser said. "We've done a thorough scrub really on every level, whether it's at a tactical level ... or how we conduct business at AFRICOM." A report is due in mid-August on actions taken in response to the findings, Waldhauser said. He released a report in May on the ambush, which has been blamed on extremists linked to the Islamic State organization. He said Africa's challenges remain vast, from Islamic State and al-Qaida-linked groups in the west to al-Shabab in the east. 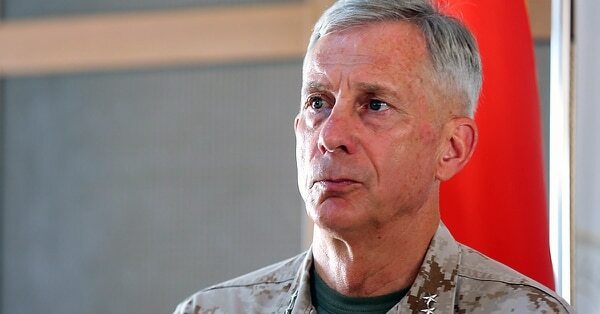 The U.S. takes a hard look at what is necessary when accompanying local forces on operations, "in terms of when it's necessary; is the threat there going against something that's significant to the U.S. homeland and our national interests," he said. Drones are part of the strategy to provide intelligence-gathering for partner nations so they can "consider various operations and take on these threats," Waldhauser said. The U.S. has authority to carry out drone strikes in Libya and Somalia, according to AFRICOM, but Waldhauser confirmed that “we have been arming out of Niger, and we’ll use that as appropriate.” The U.S. says it started arming drones in Niger earlier this year; they are currently deployed to an air base in the capital, Niamey. He stopped in Senegal while in the region for an annual senior leader and communications symposium in Cape Verde, according to the U.S. Africa Command. The U.S. maintains a small site at Camp Cisse in Dakar's old airport that allows for U.S. military aircraft to land and refuel. It also allows for storage and use during crisis situations in West Africa such as the response to the deadly Ebola outbreak a few years ago or to any threats against embassies. America's role on the continent is to build the capacity of local partner forces, Waldhauser said. "The majority, if not all of the combat operations, will be conducted by the partner force, not by the United States. So our whole goal is to get them up to a level that they can deal with the challenges that they face," he said. "In no case are we trying to take the lead. In no case do we want to own the problem, really in all cases and various methods, whether it be kinetic strikes in places like Somalia or working bilaterally with G5 countries in the west," he said, referring to the new five-nation G5 Sahel counterterror force in West Africa. When the U.S. does step in with strikes, "we go out of our way to reach levels of certainty with whom we know we are up against," he said. Officials and residents in Somalia, however, more than once in recent months have accused the U.S. of killing civilians in drone strikes. Waldhauser also warned that partnership with the U.S. comes with responsibility and mentioned as an example recent reports of extrajudicial killings in Cameroon. The United Nations human rights chief last week said he was "utterly appalled" at a recent video appearing to show Cameroonian soldiers shooting to death women with small children strapped to their backs as suspected Boko Haram extremists. “We want to have a strong military relationship with Cameroon. But their actions will go a long way toward how that will play out in the future with regards to the transparency on some of these latest allegations.” Waldhauser said.